Music was in my blood right from birth. When I was an infant, I used to sway to the tunes of ABBA and Osibisa. I remember (I do remember!!) going to an ABBA movie when I was 5 years old with my parents in a theatre in Dharwad. It was a disco era and many college going crowd were there too. My parents told me that I was dancing to all the songs played in the movie and the crowd was cheering me along. Music was so in my blood. My early teenage influences ranged from GNR, Aerosmith, Bon Jovi, Roxette, Kishore Kumar, Md. Rafi, A.R.Rahman and the usual yada yada. I couldn’t get enough of it! I wanted more varying types of music to listen to. I was fascinated by the Guitar and seriously wanted to try one out. Nobody in my family is into music or are musicians. Hence I didn’t know where to begin with. I was into Rock (slow, heavy, grunge and other variants). I slowly started to build a collection of Rock and Pop cassette albums. 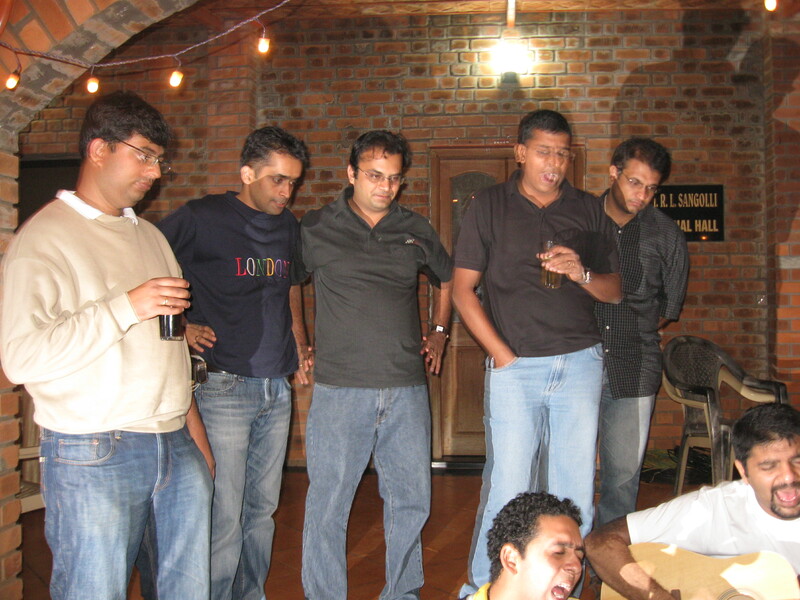 When in pre-university, I met two guys, Amar and Aniket, who were equally into the same taste as mine. We soon started frequenting each other, exchanging cassettes, discussing albums and artists. They used to play guitar and I thought that this was a right time to buy a guitar. So that was the foundation of another rock band in the making! Both my dear friends were instrumental for developing my musical taste thereafter. They used to get hands on some albums and we started sharing and exchanging cassettes. Though we were all broke, somehow we managed to buy our guitars, cassettes and other equipment. Soon we formed an amateur band called “The Edge” which consisted of Aniket and myself on Guitars, Amar on Synth Drums and Daniel on Vocals. We came up with some amazing original songs like “Understood”, “The Edge”, “Ghost”, “So how does it feel”. These are the songs which we love playing till this date. We performed some live shows like the Aptech show (2 nos. ), CA seminar (which my dad had organised) and some other memorable shows like a one song show in GIT gathering. Though we may not be sounding spectacular, but that kept our spirits high and we enjoyed every bit of all the shows. Our influences were Poison, Green Day, GNR, Scorpions which we played in every show apart from our originals. We also played in Youth Festival in Belgaum and qualified for the next round in Dharwad. What a wild time we had in Dharwad then!! 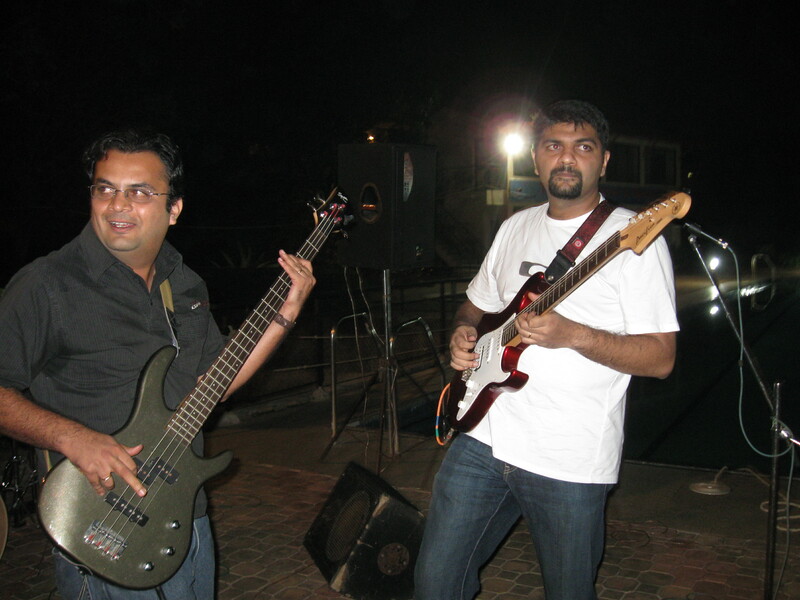 During our late graduation days, we came across Ajay who was a guitar virtuoso. We jammed with him for a long time and thought we can come up with a good band. We found that there was one missing link in our band which is the “Bass” and I decided to take up the reins as bassist of the band. 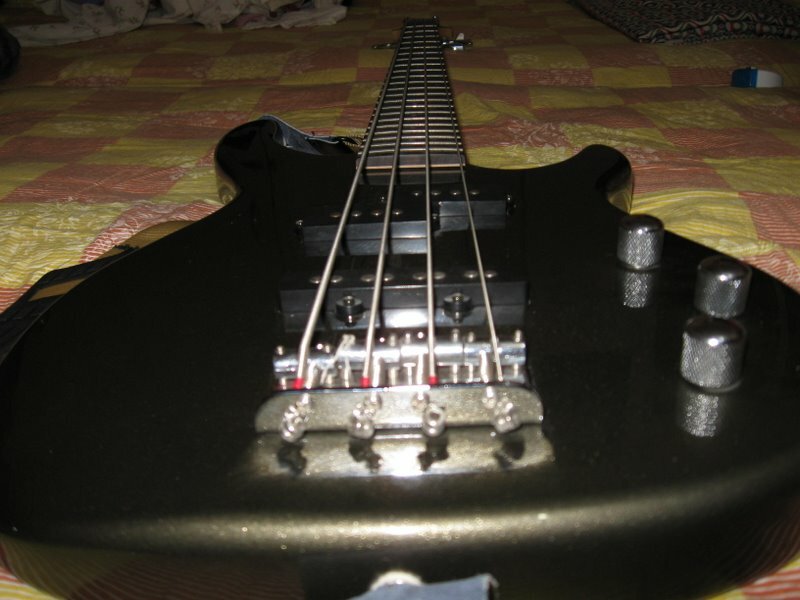 I bought my first bass guitar from Panaji, Goa. We formed a band called “Antibiotic” with following line up – Aniket on vox and rhythms, Amar as drummer (with his brand new drum kit) and Ajay on leads and rhythms and myself on bass and back vox. 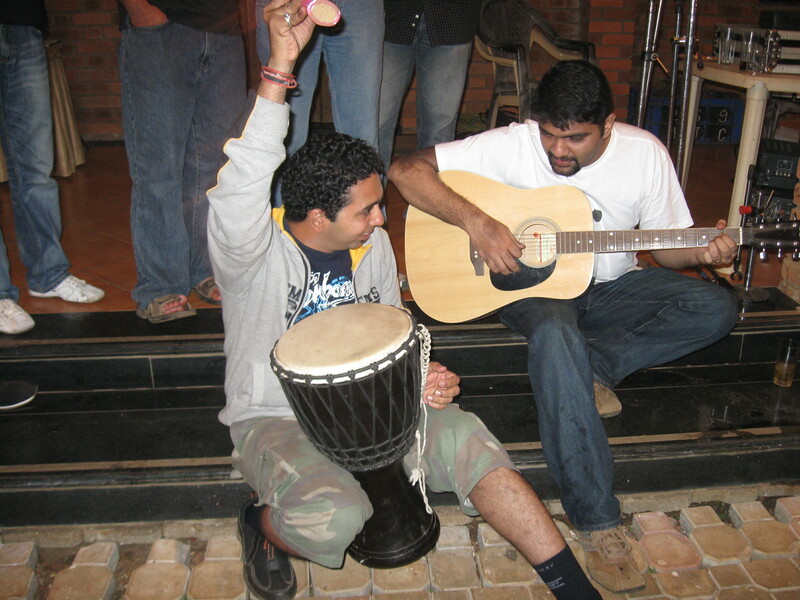 We started practicing for a show in GIT Belgaum. Our setlist comprised of Deep Purple, Led Zeppelin, Agni, Pink Floyd, Metallica among others. We had all the kit we can muster up for the show. We came up with our very own T-shirts bearing the name “Antibiotic” which we were going to wear for the show. We were performing two days in a row, the first day as “Antibiotic” and second day as “The Edge” with Shaunak as drummer. Both the shows were spectacular. We received rave reviews and were on top of the world. We became famous and were savouring our stardom. It was a great feeling. Sadly that was it! It was time to follow our career paths and give up our bands for good (bad?). Aniket and Ajay went to US, and others dispersed in various parts of India in search of careers. I joined my dad’s CA firm as an article assistant. Thereafter, I completed my CA and joined my father’s firm as partner. Then, things again started stirring in the music field. My dude Amar came up with an idea of organising an Annual Rock Fest called “Firepod” in Belgaum. We formed another band called NH4 with following lineup – Rahul on vox and rhythms, Ajay on lead, rhythms and backing vox, Amar on drums and myself on bass. There was another budding band from Belgaum called “Idioteque” who were also performing in the show. Our setlist consisted of Deep Purple, LedZep, Judas Priest, Beatles among others. The Firepod show was a success with a turnout of 150 people (something we did not expect). Aniket was coming back to India for Christmas in December 2009. So Amar organised a reunion of sorts for reliving our old times. This reunion party was planned nearby a swimming pool in Belgaum. The band members, their families and relatives and friends were there. Most of the guys were married and some with babies!! We played all our old stuff and jammed like crazy under the moonlit night. We had the time of our lives! We all cherish those days even till this date!